At Cats Protection we help around 200,000 cats every single year. So in honour of National Cat Day today, we thought we’d look back over just a handful of our successes so far this year. 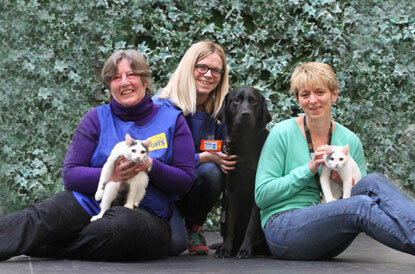 A charity that trains guide dogs in Scotland welcomed some unusual new arrivals in January – two 20-week-old kittens. The strange pairing came about after Guide Dogs charity contacted us looking for two cats to come and live at its school in Forfar where they would become part of the training programme for new dogs. Following discussions with our Arbroath and Forth Valley branches, a confident pair of kittens called Arthur and Charlie were found to replace cats Belle and Tinker who were formerly at the centre. 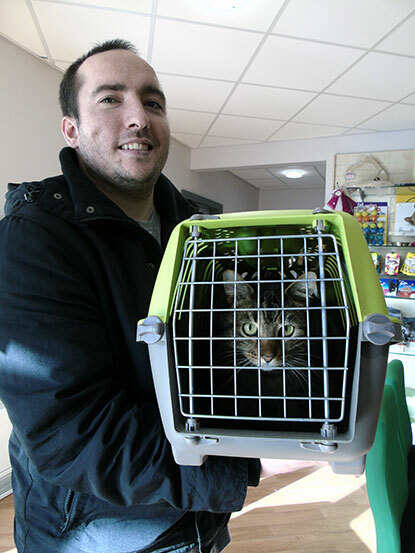 Tabby cat Tommy was reunited with his owner thanks to our national Facebook page after being missing for two weeks. He was handed in as a stray to our Warrington Adoption Centre by a member of the public. When they scanned the cat for a microchip, the staff found that he was registered to an owner – over 200 miles away in Torquay, Devon. Unfortunately, the owner’s details were out of date so the centre couldn’t get in touch with them. So they reported Tommy as missing with the microchip company, sent a letter to their previous registered address and advertised him within the local area. Tommy’s picture was also shared on our national Facebook page and thankfully, his owner spotted him! Bluebell (previously named Susie) came into National Cat Adoption Centre after her owner sadly passed away. 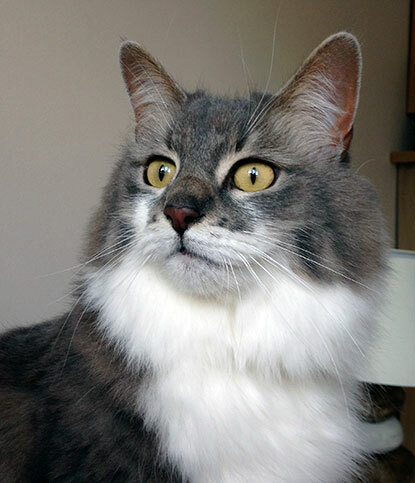 She had made plans to ensure that Bluebell would be cared for in the event of her death by registering to our Cat Guardians service. 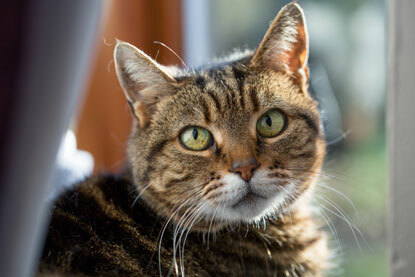 The Cat Guardians service is a free-of-charge service available to cat owners in the UK; offering peace of mind that in the event of their death, their cat will be cared for and rehomed. George was in a bad state when he came into the care of our Beverley & Pocklington Branch; he had a flea allergy and big open sores. 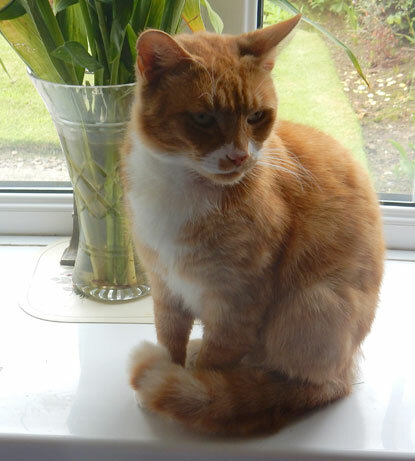 But after numerous visits to the vets and treatment over several months his skin healed and his fur grew back. Throughout all his treatment, George was the most patient and loving cat – the cat you would like to take home with you. George is now happily settled in his new home, a kindly lady who recently adopted a 12-year-old from the branch fortunately fell for George as well. 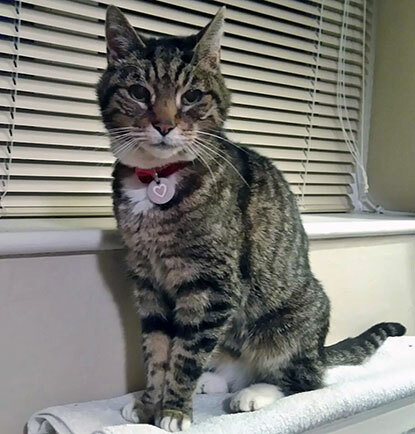 Twenty-one-year-old Barney was adopted from our Caterham, Redhill & East Surrey Branch last year but we received a wonderful update about him from his new owner Jo earlier this year. “My friends all thought I was mad taking on an older cat but there are many advantages to getting a more mature moggy!” she says. We rehomed the last working animals from a British coal mine – four feral cats – following the closure of the Kellingley Colliery, the UK's last deep coal pit. Florence, Betty, Leia and Solo had been kept at the colliery in Beal, Yorkshire, where they carried out essential vermin control duties in exchange for bed and board. When the pit closed, concerned miners contacted our York Adoption Centre to ask for help in finding them a new home. All four have now settled into their new homes. Florence and Betty – named after miners’ wives Florence Anderson and Betty Cook, who took a prominent role in the 1984 strikes – were rehomed to Karen Scholey at her family's farm near Green Hammerton, Yorkshire. Leia and Solo have settled in to their new home at Amanda Beal’s livery farm in Beverley, Yorkshire.